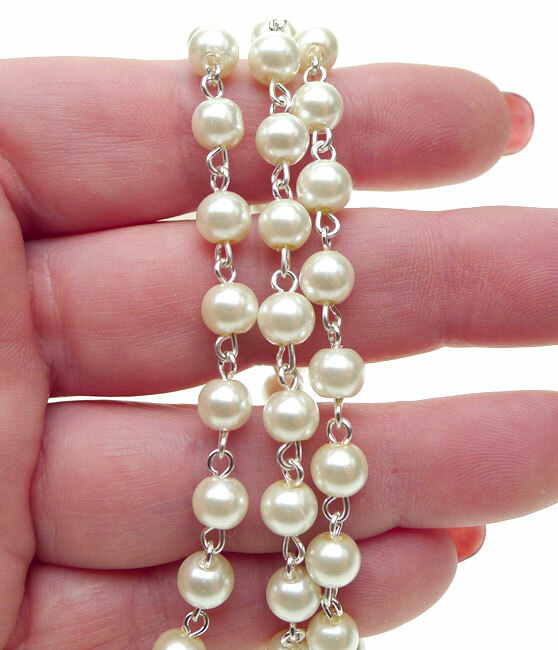 White Glass Pearl Beaded Chain - 6mm Glass Pearl Chain By The Foot, Silver Plated. 6mm cream white glass pearls are wire wrapped with silver plated wire to create chain that allows you to quickly and easily create great necklaces, bracelets, rosaries and other jewelry designs. Sold by the Foot - 5 min. 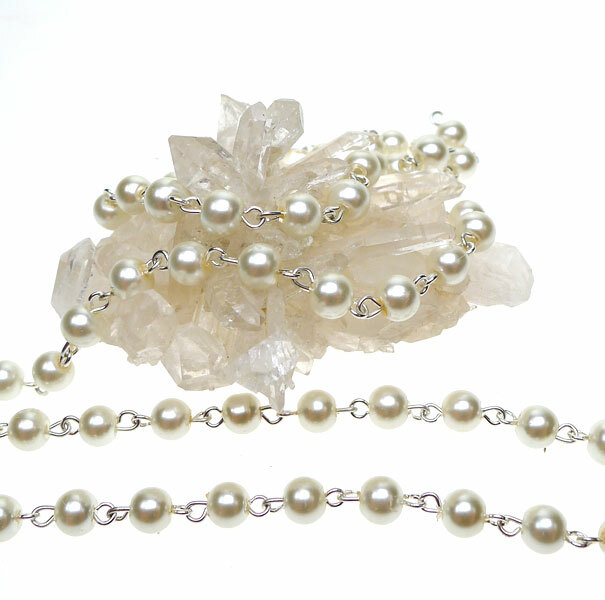 There are approximately 30 glass pearls per foot of chain.